A one week ISTE Sponsored workshop on Computer Programming under the National Mission on Education through ICT (MHRD, Govt. 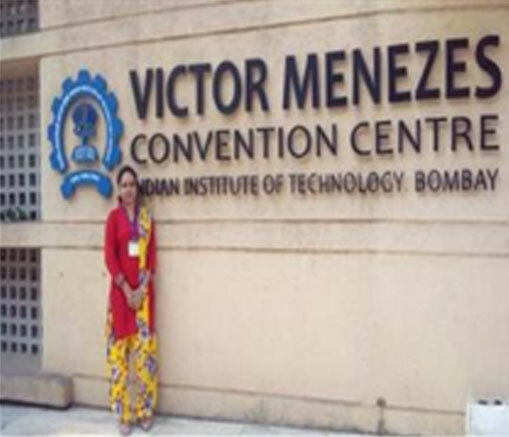 of India) was organized at Indian Institute of Technology, Bombay during 21st - 26th April, 2014. 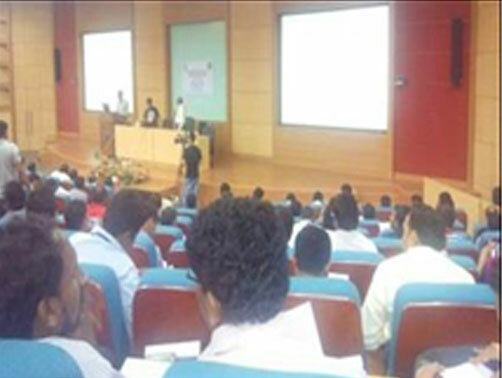 Around 300 faculties from different engineering colleges across India participated in this craved event. Ms. Bhawna Gupta, Assistant Professor, Information Technology Department represented Dronacharya Group of Institutions, Greater Noida in this event. The event was orchestrated by Dr. Deepak B. Phatak, Professor, Computer Science Department, IIT Bombay. He superscribed the participants and elucidated about the mission and objective of The National Mission on Education through Information and Communication Technologies (NME-ICT). 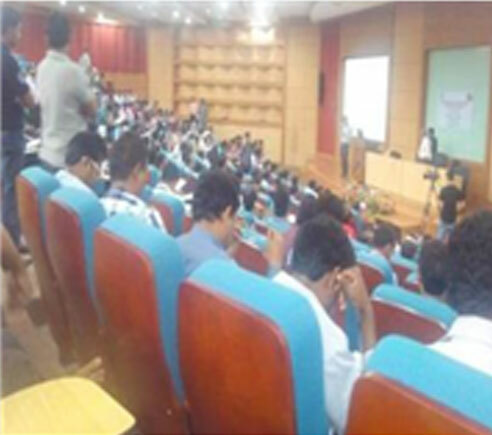 He instigated various ongoing projects at IIT Bombay under NME-ICT and MHRD like E-Kalpa, E-Yantra, Spoken Tutorials, OSCAR, Virtual Labs, and NPTEL and divulged the participants about the strategy for the main workshop that will be held from June 16th to June 21st, 2014. He further told how the logistics should be managed at the remote centers and described about the Massive Open Online Courses - Enhancement to EdX-platform. This was followed by a series of querries from the audiences which were promptly answered by Dr. Deepak B. Phatak. Dr. Abhiram Ranade, Professor, Computer Science Department, IIT Bombay relinquished a talk on “An approach to introductory programming”. He elucidated how to train first year students and suggested to take programming samples from various domains to excite wider range of students. He instigated Simple CPP an open source tool for computer Programming and elucidated how to handle graphics using Simple CPP. Dr. Deepak Phatak relinquished a talk on “Recreating lectures with activities and quizzes” for use in a flipped classroom. He broadcasted the concepts of Arrays, Multidimensional Arrays with reference to image processing. Subsequent to this Mr. Rajesh Kushalkar from clicker team gave the demonstration of clicker application and MOOCs team gave the demonstration of EdX platform, a non-profitable online learning platform to bring quality education to the students all over the world. Dr. Deepak B. Phatak explained the way to model assignments, quizzes, and question papers for computer programming. He further discussed Hemachandra’s problem. Mr. Sameer S. Sahasrabudhe, Project Manager, IIT Bombay, delivered a talk on Visual Communication Skills. He emphasized on the effective use of text and graphics in presentations. He chewed over various open source tools for animations like Easy Draw, Blender and Scratch. Prof. Sridhar Iyer, Computer Science Department, IIT Bombay delivered a talk on “Teaching pedagogy for effective learning of Computer Programming”. He delineated the Think-Pair-Share approach, an active learning strategy for blended mooc on computer programming. He further emphasized to follow the Think-Pair Share activity in classrooms also. In post lunch session Dr. Deepak B. Phatak interrogated participants to form groups of 5 to 6 members. He further issued group assignments to each group. During lab session all groups completed their assignments. After peer assessment of solutions, best solution from each topic was uploaded on Moodle by group coordinators. This session encompassed of presentations by group members designated after peer assessments. During their presentations they successfully spelled out the implementation of their programs and quizzes. This session was followed by a series of questions from the audiences which were promptly answered by the group members. 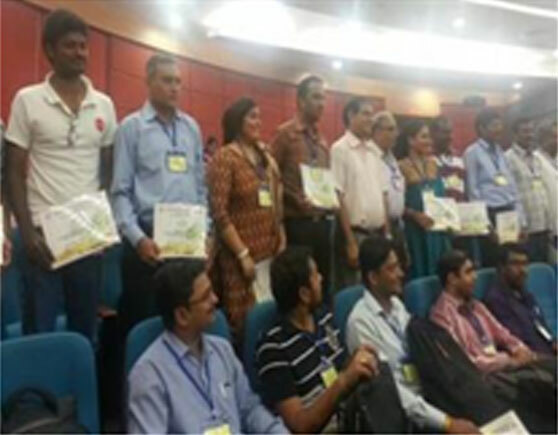 The programme concluded with a valedictory session where the participants shared their experience about the workshop and awarded their certificates of participation.